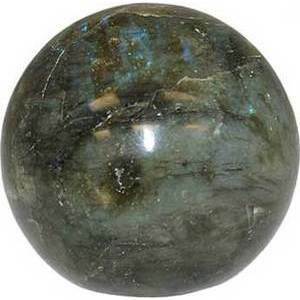 Labradorite spheres are dark with irridescent highlights common in this semi precious stone. Related to feldspar and moonstone, one may see the moons illumination at times in the sphere. 40 mm.